Natural beauty products often come with a high price tag. This is because better quality and cleaner ingredients cost more than the artificial ones. Yo u’ve probably heard of the “pink tax” and witnessed it firsthand: products labeled for women (like shampoos and razors) cost more for less. It’s the same for kids’ products–soaps, shampoos and creams made for children are much more expensive than products made for adults. So to save money, stick with gender- and age-neutral products and use them for the whole family–from infants to grownups. For example, I’ll buy Dr. Bronner’s Castille soap and use it as shampoo, body wash, and hand soap for my baby and everyone else in the family. If there’s a natural product I like for myself (like conditioner or sunblock), I’ll use it on my kids. In most cases, there’s no need to buy separate products if they’re made of natural ingredients anyway (read labels carefully!). I save even more by buying a big bottle and refilling smaller containers as needed. The truth is, you can make any body-care product you need out of food items. Coconut oil can be used for almost any beauty regimen purpose: it’s a great moisturizer (for baby to grown-up), make-up remover, hair de-frizzer, cuticle softener, under-eye cream, shaving cream, and may even protect your baby’s diaper area from rashes thanks to it’s anti-fungal properties. Sugar makes a luxurious scrub for face and body. Avocado can be turned into a soothing face mask and hair mask. Vinegar is great as a hair rinse, facial toner, and skin soother. (Hydrogen peroxide is another great toner, by the way, and it can also treat acne.) You’ll find loads of great DIY beauty product ideas containing these and other ingredients on the internet. Bonus: Add your favorite essential oils to any product you make and create the scent you love. Many hand soaps, shampoos, face wash, and other sudsy products can be diluted with water and still be very effective. Diluting them makes your products last a lot longer (and you’ll save even more if you buy in bulk). There is no hard and fast rule in terms of how much water to add–experiment with different proportions and see how they work for you. Start with adding 1/5 water; you can always add more. For instance, I often dilute hand soap by 1/4 to 1/3 water with no discernible impact on how it cleans. I used to buy some of my natural products at Amazon, until I discovered I could save much more by shopping at Thrive Market. Thrive has a great selection of healthy food, supplements, and natural body care products for up to 50% less than Whole foods and other stores. Plus, you can buy food and toiletries in everyday sizes and you often get a free gift with your order (I’ve received free avocado mayo, raw energy bites, organic tomato sauce, and natural hand sanitizer). Thrive’s prices can be significantly lower than Amazon’s. For example, Dr. Bronner’s Lavender Castile Soap (32 oz) is currently $18.40 on Amazon and just $10.95 on Thrive. An 11 oz bottle of Aubrey Organics Honeysuckle Rose Shampoo is now $11.75 on Amazon vs. $7.45 on Thrive. The savings are real!!! Click here to try Thrive for a free month and get 15% off your first order, plus free shipping for every order over $49. The annual fee is $59.95, which you will quickly make back in savings. Some brands produce great, clean products at a relatively low price point. Dr. Bronner’s is one of them. In addition to their famous castile soap, they also make shaving gel, various hair care products, toothpaste, and lip and body balms, all at very affordable prices.You may not find all of these products in stores, but they are sold on Thrive Market and Amazon. Everyday Shea makes really affordable bath products and lotions for kids and adults (on Thrive, you can get Everyday Shea body wash and shampoo at $7.95 each for a 32oz bottle!). Finally, EO (“everyone”) also has skincare and bath products for really great prices (see for yourself). All three of these brands get great reviews and I’ve been personally pleased with their products. I’d love to hear your tips for saving on natural body care and make-up products. Please share! In the meantime, enjoy shopping while saving! Categories: Shopping Guide | Tags: Natural Products, Shopping Guide | Permalink. Those celebrating the holiday of Passover can rejoice: you’ve made it halfway through the holiday eating one food group–Matzah. With a few days left, here are some snack and meal ideas to change it up. Gosh I just love these pancakes, and I make them year-round. They are fluffy, sweet, yummy, and nutritious. Best of all, they’re made of two natural ingredients: bananas and eggs. There’s no reason to save these for breakfast: with protein, fiber, potassium, and other vitamins and minerals, these are great for lunch and dinner, too. The recipe is simple: Mash 1 ripe banana and whisk two eggs. Mix eggs and banana together and fry away, just as you would any pancake. I sometimes add 1/4 tsp vanilla for flavor (and you can also add chocolate chips, or whatever you enjoy in your pancakes). Easy? Yes! By the way, they’re so sweet they don’t need a topping, but we enjoy adding honey and berries. Again, a year-round favorite. This is basically a substitute for wraps and sandwiches. Wash a romaine leaf and fill it with tuna fish salad, egg salad, babaganoush, guacamole, or whatever your kids enjoy. That’s it. I usually cut off the leafier top part, because my kids enjoy the crunchiness from the bottom half of the leaf. 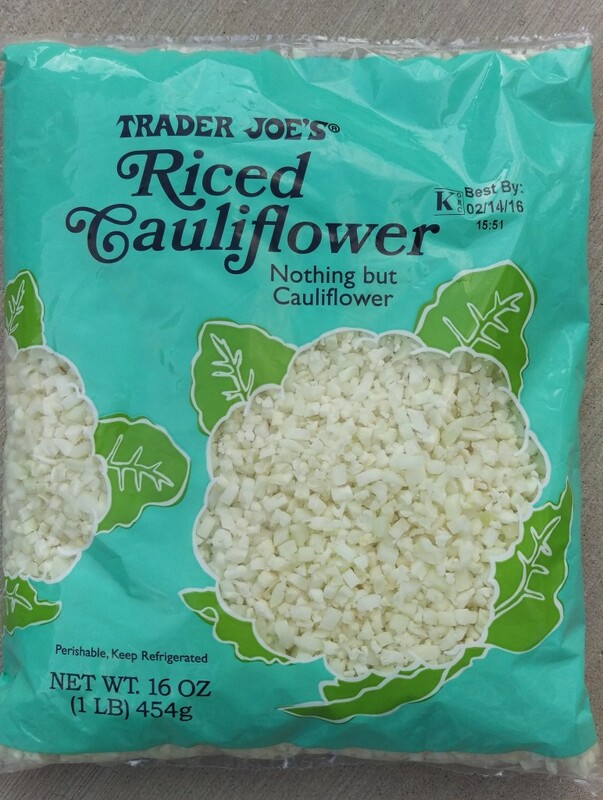 These days, you can find riced cauliflower in a bag at Trader Joe’s or make it yourself using a food processor. Cauliflower rise is simply a cauliflower minced up into rice-sized morsels. A simple sauté in oil with onions, plus some salt and your favorite spices is all you need to make this yummy. Add herbs and a squeeze of lemon juice if you so choose. If you want a specific recipe, this one is simple and great. I totally convinced my kids that spaghetti squash was actually a form of spaghetti. This is yet another easy, healthy option. I cut a spaghetti squash in half, remove the seeds, drizzle on some oil, and roast at 425 degrees (flesh-side down) until tender (usually about 30-45 minutes). Remove from oven and scoop out the flesh, which will come out like spaghetti. Then, all you gotta do is add tomato sauce like you would on pasta, spices to taste (I add garlic), and you can top with shredded mozzarella or Parmesan cheese (which you can melt for 30-60 seconds in the microwave. Done, nutritious, and yummy! If you want to get fancier and cheesier, here’s a riff on baked ziti using spaghetti squash! Healthy chips do exist. Don’t forget these year-round goodies. Kale chips (or try spinach chips–make them the same way you would kale chips) are awesome. Also, try to make chips with your favorite fruit, like these banana chips, which you can also do with strawberries or apples. The key with fruit chips is to keep the oven on a very low temperature, around 200 degrees, simulating a dehydrator. (Of course, if you have a dehydrator that is kosher for passover, use that instead!). Categories: Healthy-eating tips, Recipes | Tags: gluten free, healthy kids, kid-friendly meals, passover recipes, vegetarian | Permalink. Unless you’ve been hiding under a rock for a decade, you’re probably aware that study after study show that leafy greens are all-around the healthiest foods we can eat. Eating these “powerhouse” veggies on a daily basis prevents disease, slows aging, and improves just about every bodily function. Even just a couple of servings (about a 1/2 cup each) per day can make a big difference. For instance, a recent study found that people who ate one to two servings of greens per day–such as collards, kale, and spinach–for about five years had the cognitive abilities of someone 11 years younger. But, let’s be honest–many of us don’t always have the time to make a salad, and, frankly, we’re not always in the mood to sit down in front of a plate of greens (pass the pasta, please!). Luckily, there are many easy ways to incorporate greens into your favorite dishes. To start, all you need is a fresh package of your favorite baby greens, preferably organic. They’re usually pre-washed and ready to eat. I recommend boxed organic baby spinach or baby kale because of their mild flavor. My lunch recently: a bed of baby spinach topped with leftover roasted potatoes and onions, with chopped sardines. If you stick to greens with a mild flavor–like baby kale or baby spinach–you can add a handful (or two) to your favorite smoothie without even tasting them. The easiest recipe for a smoothie is combining one banana, a large handful of frozen organic berries, a handful of greens, and liquid of your choice (water, almond milk, coconut water, etc.). Then blend. There you go, instant serving of greens. Play around with different fruits and different proportions to identify your favorite recipe. You’ll find tons of easy smoothie recipes online like this one. Bonus: This strategy is super kid-friendly, because you can’t taste the greens! Seriously, you can make pesto with almost any kind of leafy green. And lord knows, pesto is good with EVERYTHING–chicken, fish, pasta, sandwiches, wraps, pizza, eggs. I found this awesome Kale Pesto recipe in O Magazine, and here’s another recipe for Spinach Pesto. You can make a big batch and freeze leftovers in an ice cube tray–just defrost when you’re ready to eat it. Instead of your typical sandwich, substitute a crunchy romaine leaf for bread. I like to cut of the droopier tops of the romaine leaf and fill the crunchier bottom half with tuna fish or salmon salad, egg salad, babaganoush, pesto, hummus, or any other dip I enjoy. You can also use hearty collard green leaves to make a wrap. The inside can be whatever you normally like inside a burrito, or try this collard wrap recipe. I love how avocado, sprouts, tomatoes, and creamy dressing taste when they’re wrapped up in a collard leaf. Top an almost-ready soup, pasta, omelette, quinoa or other saucy dish with a handful of baby spinach, kale, or your favorite herbs. They will wilt but will stay fresh and bright green–full of live nutrients. With these tips, you can start adding some of the healthiest foods to your diet with minimal pressure. Categories: Healthy-eating tips | Tags: gluten free, Leafy Greens, meal ideas, Super Foods, vegetarian | Permalink. One question I get asked again and again is what to feed kids for dinner, and how to make meals that are quick AND nutritious. Enter your pantry. This is where the magic happens. If you have a pantry stocked with healthy items that can be incorporated quickly into a kid-friendly meal, then you’ve almost entirely solved the problem of what’s for dinner. Here are 10 great busy-mom and kid-friendly food items we keep in my pantry. Many of these items can be served without the need to cook! Everything is meat-free, dairy-free, and gluten-free. Buy in larger quantities and you will have what you need when you need it. 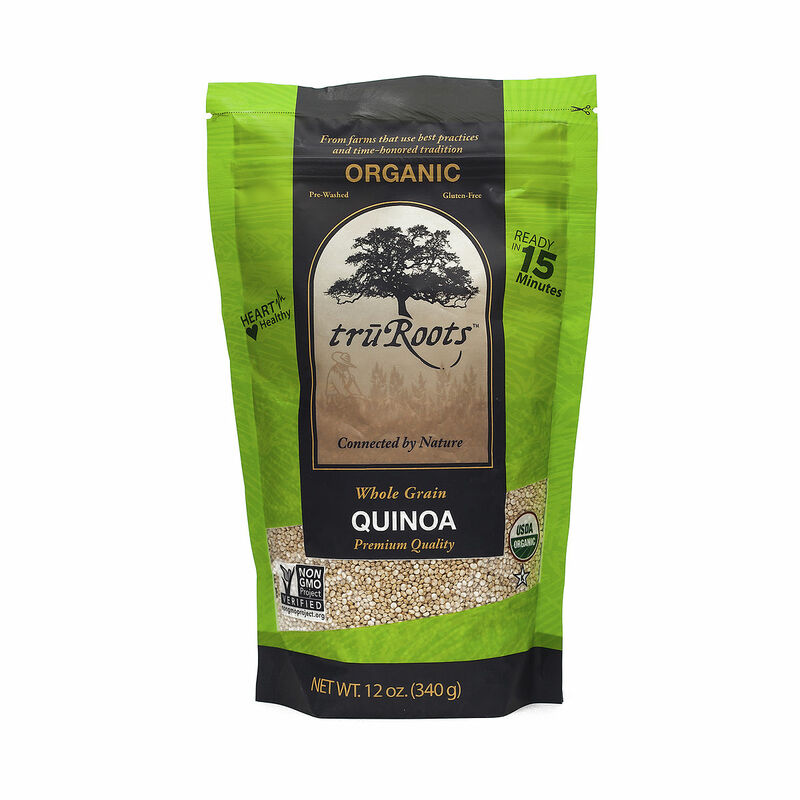 I like to stock up on these items at my new favorite online store, Thrive Market. Thrive sells healthy food, supplements, and natural body care products for up to 50% less than Whole foods and other brick and mortar stores. What I love about Thrive is that their prices are usually lower than Amazon’s and you can buy food products in everyday sizes. You can try Thrive for a free month and get 25% off your first order, plus you get free shipping for every order over $49. The annual fee is $59.95, which you will make back in savings. High in protein and loaded with heart- and brain-healthy Omega 3 fatty acids, canned salmon and sardines are a great basis for dinner. They are also high in vitamin D and calcium. I avoid tuna because of the mercury content. The canned fishes are wild-caught, not farm-raised, which is healthier for you. How to serve them? Make salmon salad like you would tuna salad (i.e. add mayo and whatever else you like). Serve salmon salad with veggies and whole grain crackers for dipping. Another idea: My kids love what I call “fish in a boat”–which is a couple of scoops of salmon salad in a romaine lettuce leaf (I just cut both ends of the leaf off and leave the crisper middle section). You can also make salmon patties, salmon tacos, and crumble salmon on top of a salad. Sardines can be served as is. For a full meal, add a starch, like potatoes or rice, and veggies. 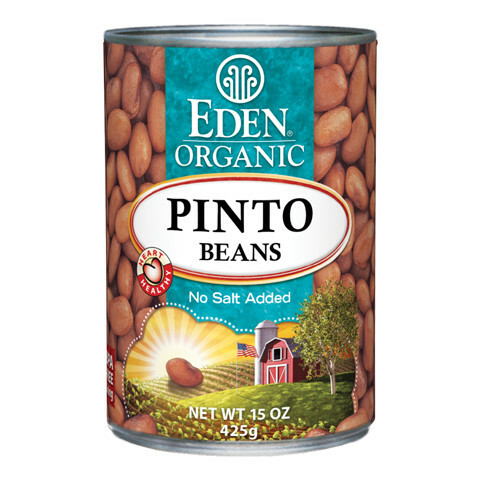 I buy these at Thrive and at big-box stores to save money and I look for brands that use BPA-free cans (such as Wild Planet). BONUS: no cooking necessary!!! Tacos can be nutritious, filling, and fun. Keep a few boxes of shells around and you can make tacos with all sorts of things you already have in your fridge or pantry! We enjoy making tacos with canned salmon and refried beans (which are both on this list) as a base. Then we add shredded romaine, avocado, mild salsa and sour cream. Voila–a whole, balanced meal and you don’t even have to cook a thing. (I briefly heat the tacos in my toaster oven to soften them so they’re easier for my kids to eat.) Preferably, buy organic or at least non-GMO taco shells, like those made by Garden of Eatin. Serve blue and yellow tacos to make “Taco Night” even more fun. Mix them with rice or quinoa for a complete protein. Serve beans with your kids favorite sauce or dressing. I like using olive oil, lemon juice, and a little salt. Or, add soy sauce, which I sometimes combine with turmeric. Make (or buy pre-made) refried beans for tacos (here’s a quick and yummy recipe). Make chumus and serve with veggies or corn cakes (see #4 below). Briefly saute beans in a favorite sauce if you prefer them warmer. Preferably, buy organic, make sure there are no additives, and, buy brands that do not use BPA lining. You can also buy beans in cartons or bags. Corn cakes are crispy yumminess and can be served plain as a snack or part of a meal. We like to spread them with almond butter and honey; chumus; salmon salad (see # 1 above) and, my personal favorite, a little mayo and mashed avocados. We avoid rice cakes because of the presence of arsenic in rice, which I’ve reported on here. Preferably, buy organic, or at least non-GMO. Real Foods’ Corn Thins are the tastiest and crispiest ones I’ve tasted, IMHO. We make and serve quinoa at least once a week. It’s a full protein, iron, fiber and phytonutrients (among other things) and, as I am sure you’ve heard, it’s been called a “superfood.” There are so many great recipes on the web. I like to prepare quinoa and then sautee it in oil (I use avocado oil for this reason), with onions and garlic. Then I add other sauteed veggies like mushrooms, carrots, and/or peas. Another thing I love to do with quinoa is to mix it into a regular green salad. It adds bulk, fills you up,and absorbs the dressing, making it super tasty. 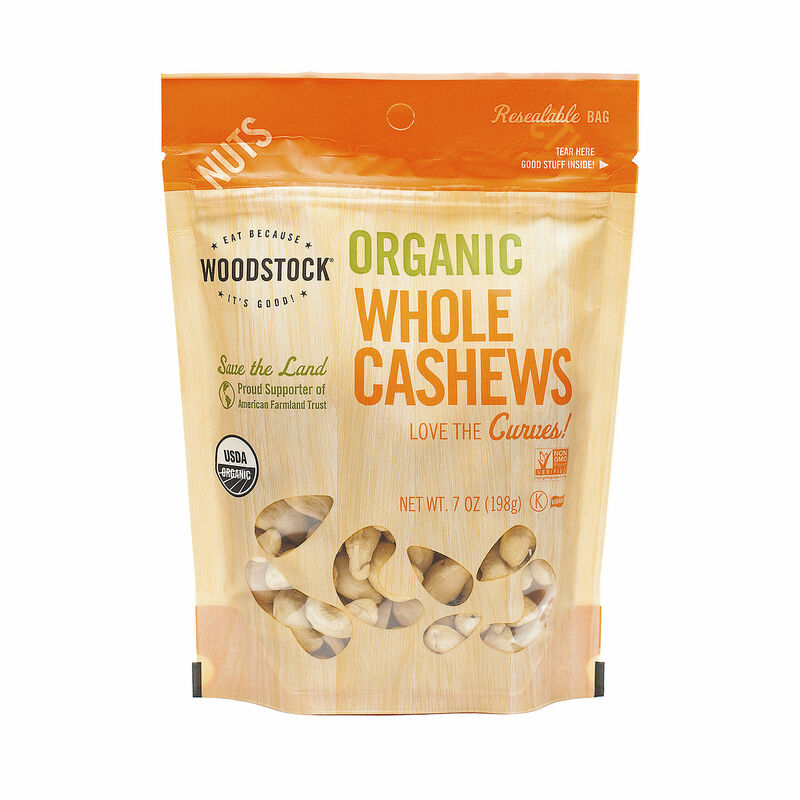 We always have a variety of nuts on hand for a quick snack. Full of protein, they are great when you need a pick me up or to quench a craving. My kids enjoy them, too. Sometimes, we make them part of meal, with cut up pieces of fruit or veggies. I like to buy them raw so that none of the nutrients are destroyed during the roasting process. Important note: so many kids have nut allergies these days that we eat our nuts at home or in the car. We avoid taking them into public places. I buy dried mung beans in the bulk aisle at Whole Foods and other health food stores. Mung beans are super easy to sprout. Read this post on how to sprout mung beans (all you need is a glass jar, water, and a paper towel!). Then read this post for ideas on how to serve them (so many ways–plain, in salads, in dishes, etc.). Note: don’t buy sprouted mung beans; buy dried, like in the photo above, and sprout them yourself for maximum nutritional punch. Lentils are are a low-fat, low-cholesterol, nutrient-rich substitute for meat. Unlike dried beans, they do not need to be pre-soaked, are less gas-producing, and can be cooked in under 25 minutes. 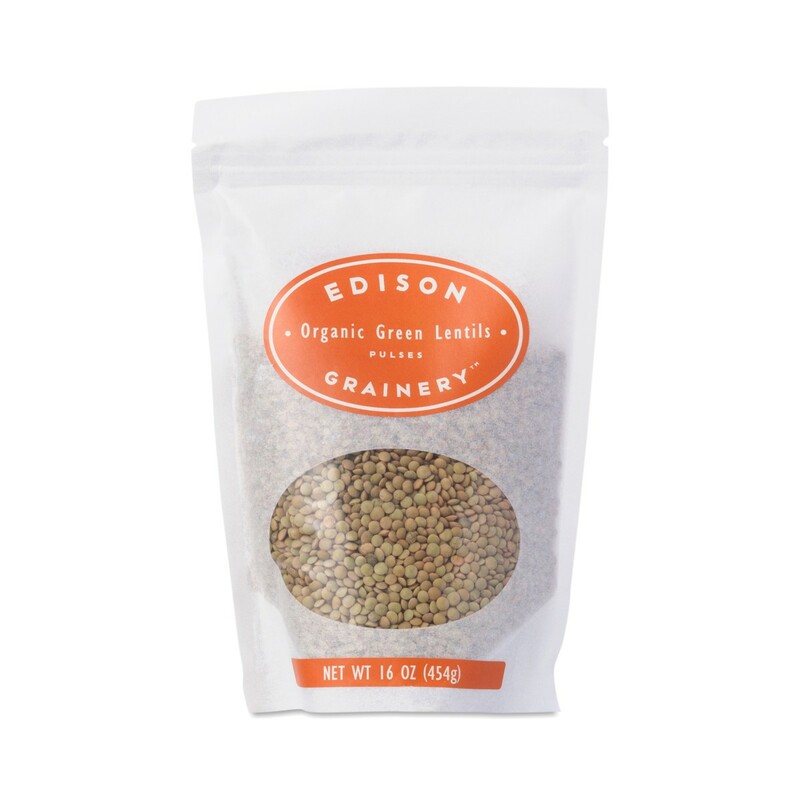 We use lentils to make soups, add them to quinoa, and prepare them sauteed alone or with veggies. You can read my post, “Ode to Lentils,” to get recipes and the full list of why lentils are so awesome. I always have a few boxes of organic, low-sodium veggie broth on had to make quick and easy veggie soups. Also, quinoa and rice tastes better when it’s boiled in broth. I like the Trader Joe’s brand and the Pacific brand which is found in most super markets. Organic boxed chicken broth is also available, if you prefer that. Let’s face it: as easy and quick as it is to prepare the above foods, sometimes we just need something that’s ready to go. The key is to choose prepared meals that have ingredients you can pronounce and recognize, no additives/preservatives, and minimal sugar. Most packages foods are high in sodium–but if you generally eat a healthy diet and have no reason to pursue a low-sodium diet, then occasional splurges like these should be find. 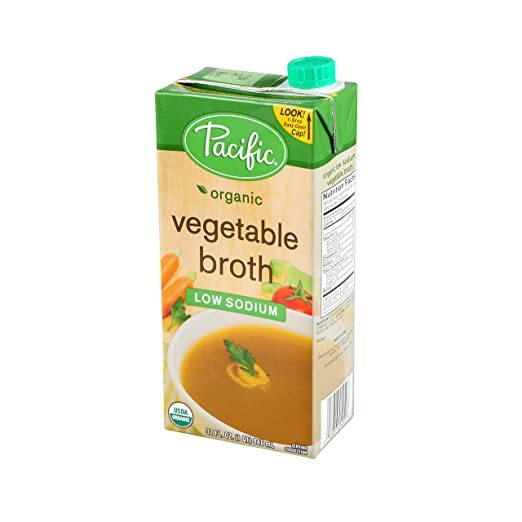 Organic soups: Pacific brand has many flavors and is found in big box stores and most markets. My kids and I enjoy the creamy tomato flavor. 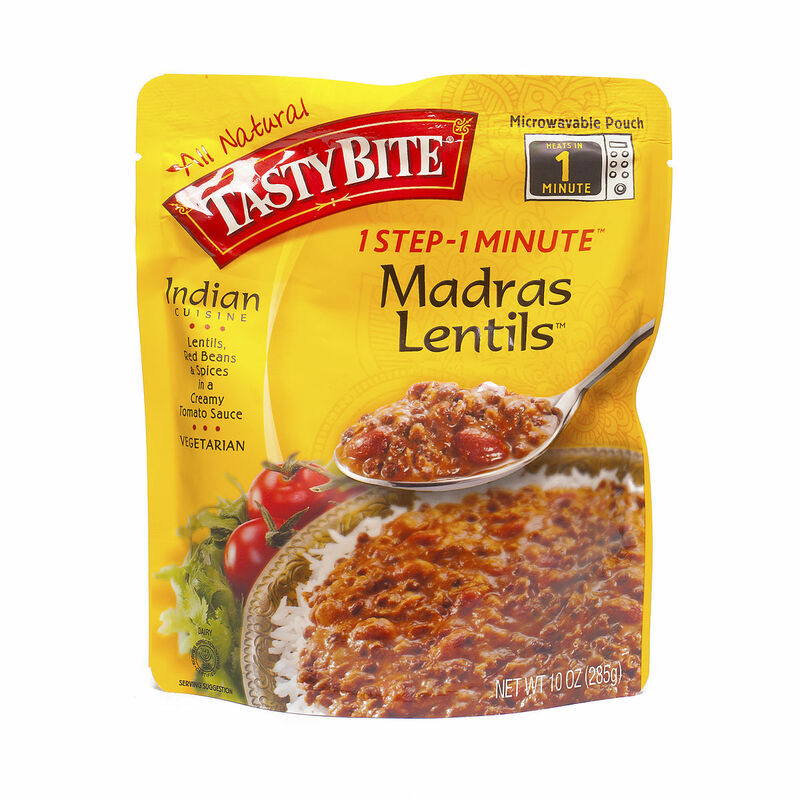 Indian prepared meals: Found at super markets, big box stores and Trader Joe’s, prepared Indian meals like Madras’ brand and Trader Joe’s brand may be in high in sodium, but typically contain more or less healthy and pronounceable ingredients. I hope you enjoy these suggestions and look forward to hearing about your favorite pantry items! Please share! Categories: Shopping Guide | Tags: healthy eating, kid-friendly meals, meal ideas, meal planning, pantry, vegetarian | Permalink. Has this happened to you before? You buy packaged produce, say a box of mixed greens or a bag of asparagus. A day or two later, you open the package and the greens/asparagus don’t look fresh. Maybe they’ve started to smell, and you can see some wilting or yellowing. You end up throwing out the healthy produce you bought. It’s a waste of money and you’ve missed out on some awesome nutrients.This happened to me until I got smart about selecting produce. So here’s my strategy to buying the freshest, longest-lasting greens: check and compare their expiration dates. Supermarkets often sell two or more shipments worth of produce at a given time, which means that some packages will be fresher than others (I’ve figured this out after years of comparing). The key is to dig through the packages until you find the freshest one, i.e. the one with the expiration date furthest into the future. You may find a difference of 3-5 days or more, which buys you a lot of time to include them in meals! My general rule of thumb is that I look for an expiration date that is at least 5 days in the future, so I know I have several mealtimes to consume the product before it starts going bad. So, for example: the other day, I went to buy baby spinach and some boxes had an expiration date of January 1st, while others said January 4th. So, of course, I bought a box that said January 4th. I also made sure to select a January 4th box that had no yellow or wilted leaves. When I can’t find a package that gives me at least five days before the expiration date, I find an alternative product that will give me more time. Instead of buying the boxed baby kale that expires within a few days, opt for the spinach that expires over a week later. Bottom line: It’s best to buy fresh and have a chance to eat the product, then buying exactly what you want and it going bad quickly. Note: expiration dates are never precise. The product can start going bad before or after the date printed. But they are a convenient rule of thumb because they do tell you which products are fresher and which are older. Obviously, it’s best to eat whatever you buy as soon as possible, because veggies and fruits start losing nutrients the older they get. Another really great money-saving tip: If your greens have started wilting before you have a chance to finish them, then cook them! You can saute wilted greens in oil (with salt, pepper, and fresh garlic or whatever spices you love), throw them on top of a soup when it’s almost done cooking, use them as a pizza topping, include them in your omelette, or put them in a sandwich. I’ve sauteed all sorts of greens before: arugula, kale, baby greens, lettuce, etc. They all taste great and you would never thing they had wilted! Wishing all of my readers a healthy, peaceful, and fulfilling new year! And thank you for all of your support! Categories: Shopping Guide | Tags: Food Shopping, Greens, healthy eating, money-saving tips | Permalink.